Historically, there have normally been plenty of opportunities for students to participate in competitions if they were interested in sports, music, and a few other activities. But for people interested in science and engineering, there haven’t been as many opportunities to learn and compete. That has changed with the growing popularity of robots and robotic technology. Each year, LEGO runs its Robot Challenge and the competitions are held all over the world, bringing in enthusiastic youth and getting them more interested in STEM. Generally, LEGO robots are orders of size smaller than what we see in DARPA Robotics Challenges. But compilations of robots falling down at DARPA events show that even the pros have a long way to go. One popular robot event is the RC Combat Robot Wars which also happen around the world at events sponsored by organizations such as the UK Fighting Robot Association. These competitions have different weight divisions like in boxing and round after round of qualifying battles and with a championship round. 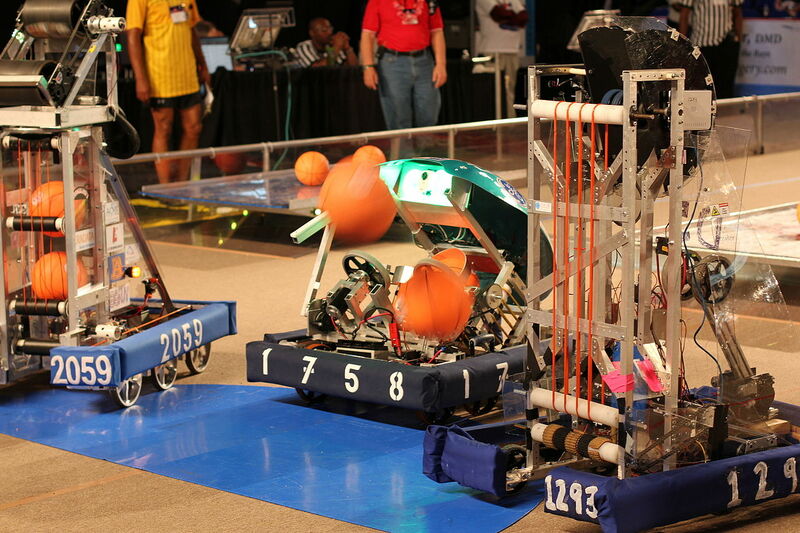 At the recent Robochallenge, 24 robots participated in a free-for-all gladiator fight. FIRST Robotics Competition (FRC) brings together international high school students and their mentors. Groups of 25 high school students spend six weeks building and programming robots using a kit that is the same for all participants. FIRST Robotics Global Championship will be held in Detroit, Michigan in 2018. And the Robotics Education & Competition Foundation supports competitions around the globe to foster excitement for stem and robotics. Typical robotics competitions rank robots from first to last using a point system. Robots usually earn points when they are able to perform certain activities successfully. The following list of robotics competition from Wikipedia includes 62 competitions currently held globally. Boost Mileage with Diesel Engines … Just Ask Volkswagen!